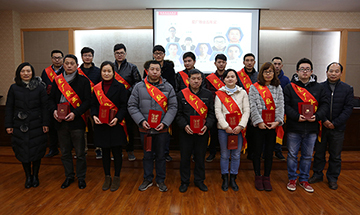 On the morning of March 17, the communist party of China linan Chunqiang Lu with secretary of municipal party committee of municipal party committee leadership a line production base to First Jinma village research on the construction of enterprise development. 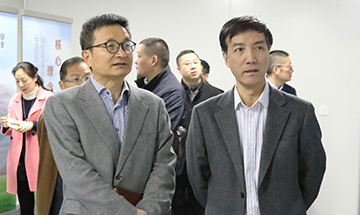 City leaders in the company of the company chairman Jianhua Lin, for enterprise production workshop to visit and communicate. Want to maintain stable "as an industry leading enterprises, foster photovoltaic packaging materials products market share, but also to continue to promote the development of new materials and production. "Chunqiang Lu secretary in details about the company's main photovoltaic encapsulation materials EVA film, lagging products, as well as the photosensitive dry film, FCCL, composite membrane stress after new applications such as basic materials. Chunqiang Lu said the municipal government will attempt to save a lot of problems for the enterprise, be a good "the bartender," full service for the enterprise development.